The Northwest offers a wide variety of entertainment options within a convenient distance. For those of us living in the area around Spokane and Coeur d’Alene, you can find yourself doing something exciting without having to carve out several days. In fact, you don’t even really have to leave your own city. 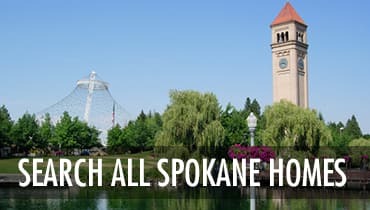 Whether you call the area home, or you are here visiting, here are five great things to do within a short drive of Spokane and Coeur d’Alene. 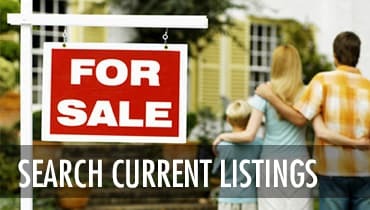 This blog post originally appeared on the Century 21 Beutler and Associates blog Switch2Gold – check it out. In 1974 the first environmentally themed World’s Fair was held in Spokane, and when Expo ’74 left town, it left its distinctive mark on the city. Downtown’s Riverfront Park covers 100 acres along the Spokane River. In addition to the river and falls, the park is marked by the 135 foot tall frame of wire that formed the US Pavilion tent during the expo and the clock tower. Not only does the park offer some great scenery, it is known for the carousel and small amusement park that keeps the kids happy, an IMAX movie theatre, and even a skating rink during the winter months. One of the area’s most scenic locations, this beautiful lake is also the hub of a bevy of recreational activities. You can rent a boat or standing paddleboard and get out on the water, or enjoy taking in the sights and doing some shopping. The Lake Coeur d’Alene resort is also home to some of the best golf that the area has to offer, including the world’s only floating, moveable green. Coeur d’Alene is also a short trip away from some great hiking, fishing, and even a great theme park. One of the most famous landmarks in Eastern Washington is the Grand Coulee Dam. Close enough to make a day-trip out of, this New Deal era public works project was immortalized in song by Woodie Guthry and is still a popular tourist destination. Built in the 1930s, the damn has a visitor center that gives information about its construction and use as a hydro-electric power generator. The history and engineering of the dam make it a great educational stop, as well as just being plain cool. If you can stay after dark, you will be treated to a great laser light show that is projected on the dam wall. Who doesn’t love amusement parks? The Silverwood theme park covers over 216 acres, and has more than 65 different attractions, ranging from roller-coasters to water slides. The wide range of rides and other fun give you and your family plenty of options for spending a day or weekend at the park. If your idea of a great weekend involves tasting wine, then Eastern Washington is the right place for you. Spokane is home to several wineries, including 15 different tasting rooms within the downtown area. If you want to venture out a little, you can find yourself right in the heart of Washington wine country, with areas like the Yakima Valley and Walla Walla within 3-4 hours away. There are lots of other things to see and do in the Spokane and Coeur d’Alene area, but this list should give you a good start on exploring. Enjoy!